Richard Whittle knows a great deal about the Predator. Not the 1987 movie; rather, the General Atomics MQ-1 Predator surveillance and strike drone, which Whittle contends started the drone revolution. Indeed, the Predator’s distinctive profile has become a symbol for drones in general: ask the average person what a drone looks like, and chances are they will describe something resembling the Predator. 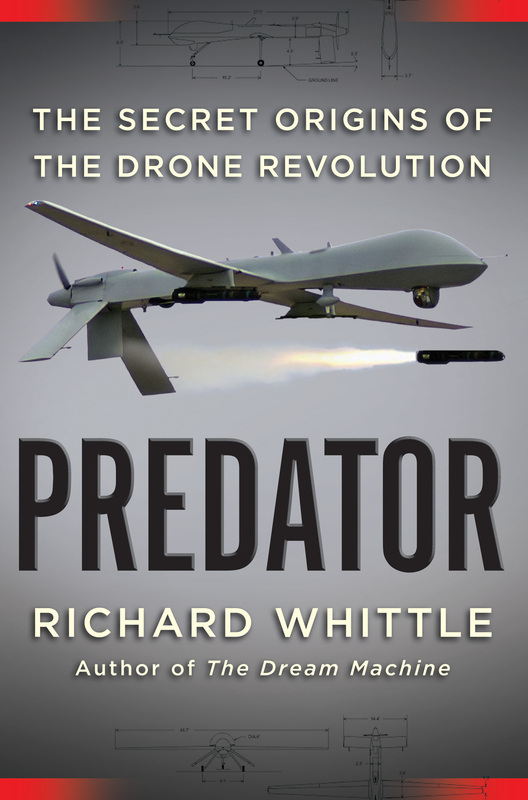 Whittle is the author of Predator: The Secret Origins of the Drone Revolution, a definitive biography of this transformative aircraft, from inception as a semi-DIY unmanned motorized glider plane in a Los Angeles garage, to its military apotheosis as the primary strike platform in the hunt for Osama bin Laden in the mountains of Afghanistan in the days following the September 11 attacks. 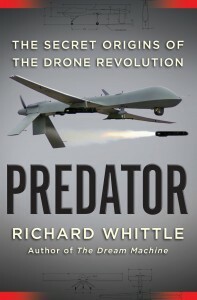 Thanks to meticulous research and extensive interviews with many of the key players in the development of the Predator, including several who worked in secret CIA and Air Force programs, and thus spoke on the condition of absolute anonymity, Whittle has brought to light a good deal of information that was previously not known to the general public (example: the armed Predator program was almost called off for fear that it would violate an arms treaty with Russia). The book is an important and helpful read for anybody hoping to understand how this drone, and by extension all the military drones that followed, came to start a revolution. 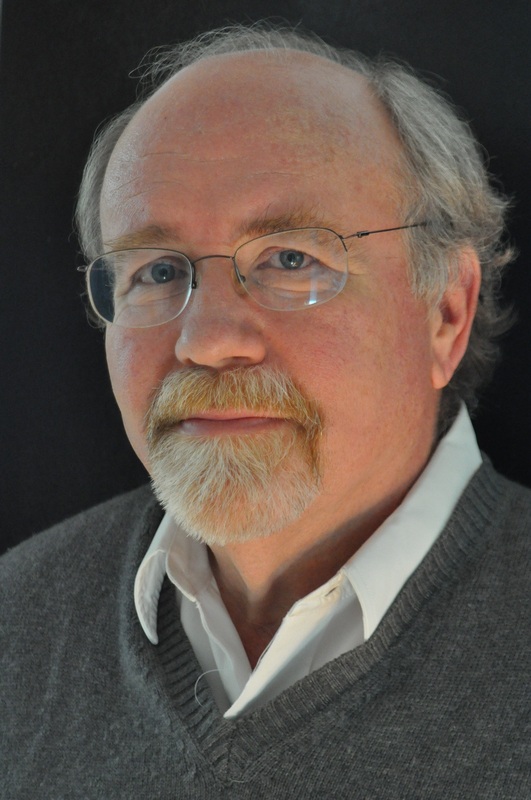 Richard Whittle is a Global Fellow at the Woodrow Wilson International Center for Scholars and a Research Associate at the Smithsonian National Air and Space Museum. Center for the Study of the Drone What inspired you to put Predator together? And when did that happen? That was in 2009. I started out thinking that I would write a comprehensive book about the drone revolution, as I initially perceived it. But I soon realized that would be a tall order. Then I read an article in Air & Space Smithsonian Magazine called “Aircraft that Changed the World,” which profiled ten aircraft. One of them was the Predator. A light bulb went on in my head. “That’s the drone that started the revolution. That’s the one I want to write about.” So that’s what I set out to do. Center What do you think is the benefit of looking at a single drone as opposed to what you had initially conceived of, a more comprehensive study? Whittle The Predator is the first modern drone in the sense that previously drones were essentially a niche technology. Back in 1917 the military was trying to create unmanned aircraft which it called aerial torpedoes. Between the wars, a man who owned a modeling shop made small unmanned monoplanes about the size of a go kart and sold them to the Army for targets. Whittle Yes, exactly. Reginald Denny. And then there were various attempts at using unmanned aircraft during World War II. And in the Vietnam War, the Air Force created these jet-powered drones called Firebees and Lightning Bugs, which had cameras on them and were dropped from the wing of a transport plane. They had to be searched for, or picked up after the missions, because they weren’t real airplanes. They were a lot more like missiles. There was no natural home for drones in the military. The Air Force is run by pilots, and they weren’t interested in these little things that were mostly not much larger than radio-controlled models. The Army flew helicopters, and the Navy didn’t like the idea of aircraft with no one inside coming to land on their aircraft carriers, which could explode if no one diverted them in an emergency. But then along came Abraham Karem, the man I credit with being the inventor of the Predator, and he set out to design unmanned aircraft that would actually be aircraft. His creation would land on a runway, and, more importantly, it would have phenomenal endurance. The Predator evolved from a drone technology demonstrator called the Albatross, which Karem built in his garage in Los Angeles. It could fly 48 hours on a single tank of gas, and that was ten times as long as that of any drone ever built previously. Because of this endurance the Predator offered, and because later on a series of innovators turned it into the first weapon in history whose operators can stalk and kill an individual on the other side of the planet from a position of ambush and total invulnerability, it opened the door for today’s drone revolution. Drone So you’d say that the communications technology that was bolted on to the Predator was just as significant? Whittle Absolutely. This was done by an Air Force unit called Big Safari, a very secretive organization that does special modifications to aircraft. This global remote control was actually created so that the Air Force, on behalf of the CIA, could fly Predator drones in Afghanistan and try to kill Osama bin Laden, before 9/11. This was the secret sauce of the modern drone as the Air Force uses them, because now they have their crews sitting in offices in the United States, operating drones over Afghanistan, or the Middle East, or Africa. This is how they do it: they send a signal by fiber-optic cable under the Atlantic, which is something I reveal my book. This signal is then sent to a satellite earth terminal in Germany, which then communicates with the satellites. That was all put together for a mission that was in the works to try to kill Osama Bin Laden. 9/11 happened before the mission could be accomplished. Drone You also reveal in the book that the link that allowed the operators to be based at Langley was necessary because they didn’t want operators flying armed drones from Germany, because they thought that was a legal issue. What else in the story of the Predator really surprised you? What are some of the secrets that are crucial to this history that you think maybe people should be better aware of? Whittle The Predator was not developed or armed by the CIA. This was done by the Air Force. And this is a fact that has sort of gotten lost in history, even though a lot of people have written about the Predator. One very prominent book about robotic systems uses the phrase “the CIA armed its Predators and the Air Force didn’t want to be left behind,” which is not what happened. And I discovered, looking at the record—the open record, by the way—that the Air Force publicly began talking about, and preparing to arm, the Predator in May of 2000. It was only later that year, after the Air Force and the CIA had flown an unarmed Predator over Afghanistan in a secret operation called the Summer Project, that the National Security Council and the CIA put the armed Predator project on a fast track. I recently attended an event where an Air Force expert on remotely piloted aircraft suggested that the satellite signal simply goes from an Air Force base to the North Pole, back to the drone over in Afghanistan, or Pakistan, or wherever. I approached this person and I said, ”That’s not really the way it works.” And he said, “Yes, but no one knows.” I was able to not only discover that fact but explain in some detail how it was put together, based on interviews with the scientist who came up with the scheme. Whittle Werner, yes. That’s the alias I had to give him to use his material in my book. Drone Colleagues called him the Man with Two Brains. Did you talk to Werner directly? Whittle Yes. Formally, and in detail, and in person. Drone Would you agree that he had two brains? Whittle He is quite frankly one of the most brilliant people I have ever met in my entire life. Drone By writing this book, what are you hoping to contribute to the contemporary discussion of drones? Whittle I think that to understand the issues that the drone raises, you have to understand the technology. You have to understand where the technology came from and how it actually works. There are a lot misconceptions out there. For example, people call the Predator drone a robotic killer aircraft, denying that there’s a human in the loop. In fact, there are a lot of humans in the loop. It’s not just the crew in the ground control station, and the commander who sits behind them, and the intelligence analysts who are in the ground control station, but also a whole chain of people—dozens actually—who are involved in monitoring these flights. And when it comes to targeted killings, to making the decision, these decisions go up to the President. The point is, it’s not helpful to have a debate about something when you don’t understand how it works. People call the Predator drone a robotic killer aircraft, denying that there’s a human in the loop. In fact, there are a lot of humans in the loop. Drone Where do you stand now on the question about the relationship between technology and policy? In The Way of the Knife, Mark Mazzetti argues that the CIA has essentially transformed from an intelligence organization into a paramilitary organization. Do you think that has happened because of this technology, or is it a two-way road? Whittle The Predator had a great deal to do with it, and the technology is still outrunning policy. In the beginning it changed policy, but now it’s running ahead of policy. I know that a number of former CIA people, including some who played key roles in the history that I relate in the book, are not terribly comfortable with how things have evolved, nor with the frequency with which the CIA has used targeted killings. The armed Predator was in part developed as a one-off way to try to kill Osama Bin Laden, to try to decapitate al-Qaeda. At the time, the CIA director, George Tenet, was extremely concerned about whether that was a wise course to take. He and others at the CIA weren’t sure if it was a good idea for an intelligence agency to get involved in killing people with a military weapon. After 9/11, everything changed overnight. As I document, the three armed Predators that the CIA had been reluctant to use were on their way to a base in Uzbekistan the day after 9/11. In those succeeding months, events overtook policy in a major way, and have done so even more under the Obama administration. In 2009, Leon Panetta, as director of the CIA, said that drone strikes are “the only game in town” for combating al-Qaeda. If your only tool is a hammer, every problem looks like a nail. I’m not the only person who thinks that maybe the policy of using drone strikes needs to be examined publicly, and more transparently, so we can decide as a society, and as a nation, if this is what we want the Executive Branch to be doing, with very minimal congressional oversight and no judicial oversight, at least that I’m aware of. I’m not the only person who thinks that maybe the policy of using drone strikes needs to be examined publicly, and more transparently, so we can decide as a society, and as a nation, if this is what we want the Executive Branch to be doing. Drone The book ends in the early days of the war in Afghanistan. If you could add a few chapters to the book that trace the thirteen years that have passed since then, what would you cover? Whittle The use of the Predator as a military weapon has spurred the military and the defense industry to do a great deal of research and development on new drones. 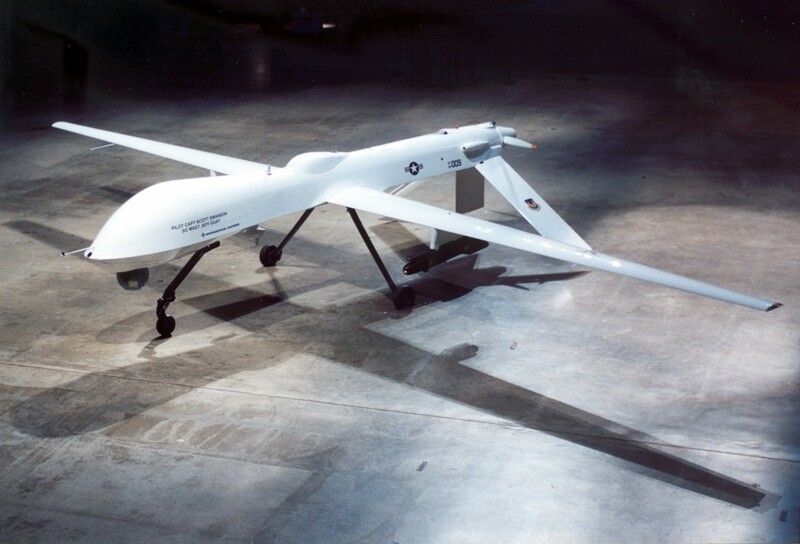 Almost immediately after the Predator was armed, General Atomics created a bigger version called the MQ-9 Reaper. The drone revolution began in those early days in the war in Afghanistan, when President Bush declared that the military didn’t have enough unmanned vehicles. The day after he said that, the Air Force ordered all of its Predators to be armed, which had not been the plan before that – the armed Predator had always just been an experiment for the Air Force. At that point, the U.S. military had 82 drones; ten years later, they had eight thousand. Not all of those are Predators and Reapers, of course, but the technology has proliferated greatly. Now the issue is really the technology itself, which of course exists at all levels, from little things you can hold in your hand to the Global Hawk, which has a wingspan about the size of a 737’s. Now the issue that’s coming home about the technology, on the military side, is how much autonomy do we want unmanned aerial vehicles that are armed to have? How do we make sure that humans stay in the loop, in the future, given that the military is working very hard on automation and artificial intelligence? On the domestic scene, as you know, in 2012, Congress mandated that the FAA come up with regulations allowing for the safe integration of unmanned aircraft systems into the national airspace system. And that raises new sets of issues that I think the FAA and the industry are having trouble dealing with. One being how do these unmanned aircraft of all sizes safely share the airspace with manned aircraft? The Predator taught us that having a camera in the air for long periods of time is a very powerful surveillance method. With the miniaturization of this technology, we now face a new era in the realm of privacy versus surveillance, where it could theoretically be possible for your neighbor to buy a $400 drone at Best Buy and fly it up next to your window and peek in at you or your wife at will, because he thinks he can get away with it. The technology has outstripped the regulations and the laws that we have in place to protect ourselves from them. At the same time, it offers magnificent potential that industry and society will benefit greatly from if the regulators can come up with ways to ensure our safety and privacy. Drone Are you now hooked on drones, in terms of what you’re working on? Whittle It’s certainly something I intend to continue exploring, because it’s a new era in aviation, and it’s fascinating, and it’s also extremely important. So I will definitely be writing more about drones. Whether that turns into another book right away or not, I don’t know. I’m still catching my breath.